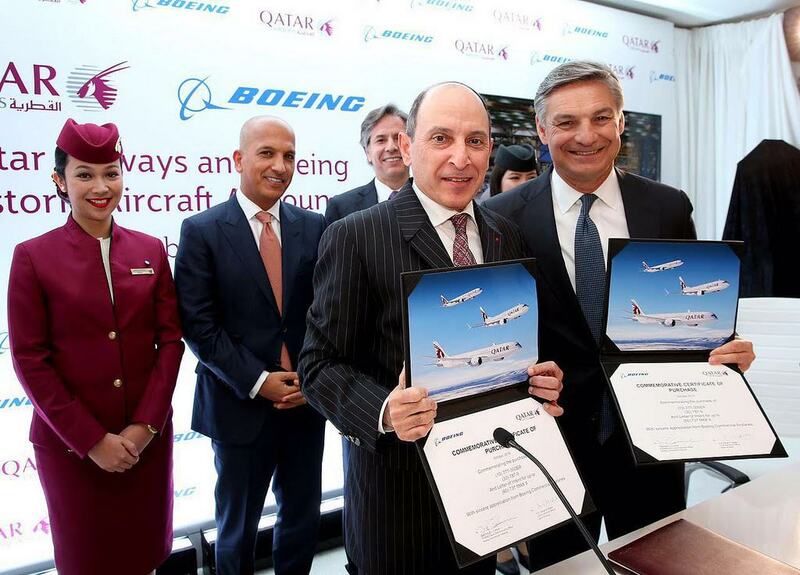 WASHINGTON, USA: Boeing and Qatar Airways have announced an order for 30 787-9 Dreamliners and 10 777-300ERs, valued at $11.7 billion at list prices, validating the value, reliability and performance of Boeing’s twin-aisle airplanes. The announcement was attended by the State of Qatar’s Minister of Finance, His Excellency Ali Shareef Al Emadi, U.S. Deputy Secretary of State Tony Blinken and the Ambassador of Qatar, His Excellency Mohammed Jaham Al-Kuwari. The 777-300ER is the most reliable twin aisle airplane flying today and is considered to be the flagship of the world’s elite airlines. It has the highest schedule reliability of any twin-aisle airplane at 99.5 per cent – the airplane is on time, nearly all the time. Boeing’s newest family of single-aisle airplanes – 737 MAX 7, 737 MAX 8, 737 MAX 9 and 737 MAX 200 – builds on the Next-Generation 737’s popularity and reliability while delivering customers unsurpassed fuel efficiency in the single-aisle market, with deliveries scheduled to begin in 2017.